You can also follow @TOIAlerts on Twitter — we’re live-tweeting all the updates there as well. PREAMBLE: As we enter Day 35 of Operation Protective Edge, a planned 72-hour ceasefire has just come into effect. If it is still holding in the morning, Israel is set to send its delegation back to Cairo for indirect talks on a longer-term arrangement. However, the sides are far, far apart, with Israel determined not to reward Hamas for using force against it, and conditioning rehabilitation and eased access for Gaza on the demilitarizing of the Strip; Hamas is adamant that it will not give up its arms. Turkey’s new president-elect, Recep Tayyip Erdogan, says wounded Palestinians from the Gaza Strip will be transferred to Turkish hospitals for treatment, Reuters reports. “Hopefully starting tonight [Sunday], we are beginning to transfer our wounded Palestinian brothers to Turkey,” he said during his first victory speech. Earlier Sunday, IDF soldiers, as well as IAF aircraft, opened fire on a group of six operatives who tried to cross the border near the Kerem Shalom crossing in the southern Gaza Strip, Israel Radio reported. At the end of a fierce firefight, the IDF said it had successfully thwarted the attack. There were no immediate reports of Israeli casualties. Late Sunday, with barely a half-hour to go until a 72-hour ceasefire between Israel and Hamas, rockets slammed into communities in southern Israel near the Gaza Strip. One rocket exploded in the Eshkol Region, causing damage to a building. 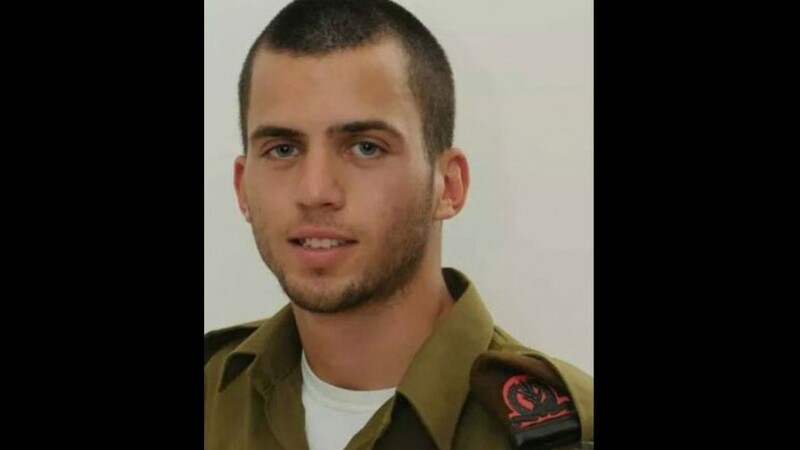 Defense Minister Moshe Ya’alon Sunday night told the family of IDF soldier Oron Shaul, whose body was not retrieved after he was killed during a battle in Gaza City’s Shejaiya area, that Israel is doing everything possible to bring Shaul’s body back to Israel. According to a tweet by a reporter from Haaretz, Ya’alon said that Shaul’s body is in the hands of Hamas fighters in the Strip. 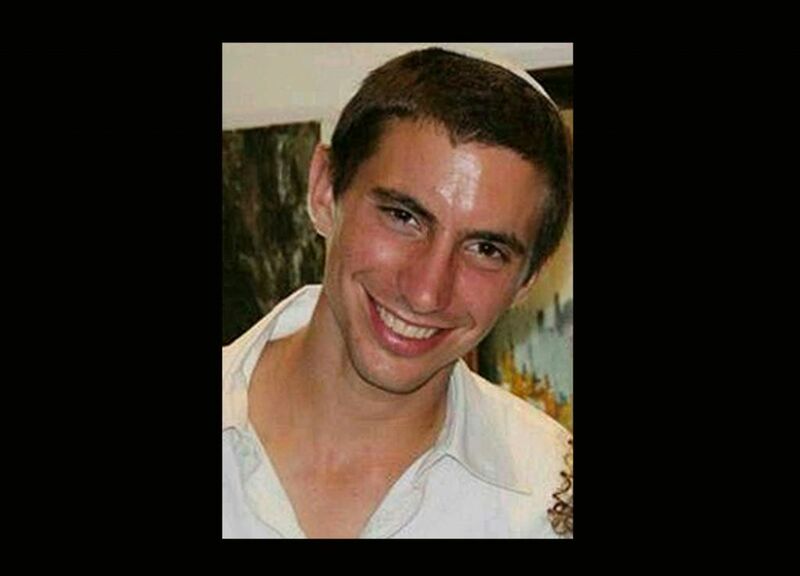 According to Egyptian media, Israel negotiated with Hamas for the return of body parts of soldiers Shaul and Hadar Goldin, in return for freeing Hamas captives from the past few weeks. Israel’s Channel 2 said reports indicate Israel would return eight bodies and some 15 captured Hamas gunmen. Israeli officials were later quoted as denying the reports, and branding them psychological warfare. A rocket fired at central Israel minutes before the new 72-hour ceasefire was to go into effect at midnight, landed in open territory, according to reports. 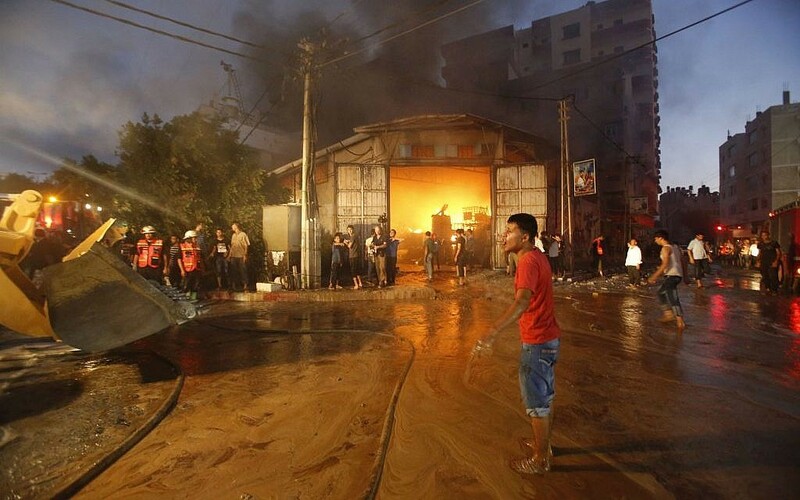 At around 11:51 pm, a loud explosion was heard over Tel Aviv and the surrounding region. The Code Red siren was not sounded. 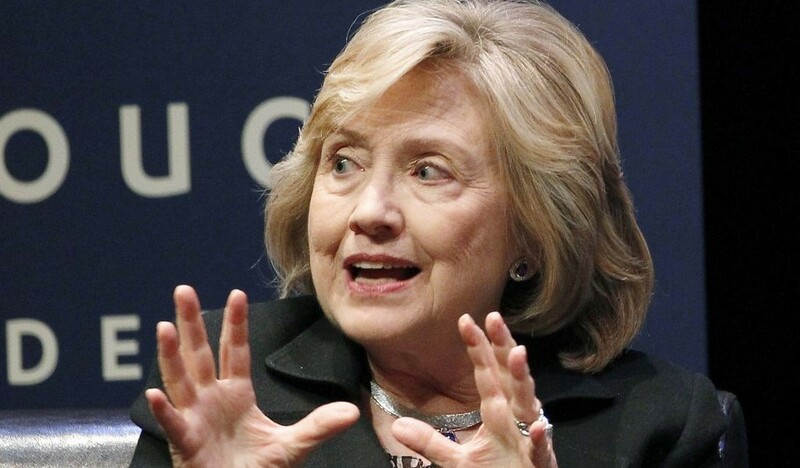 Former US secretary of state and potential presidential candidate Hillary Rodham Clinton issued a staunch defense of Israel Sunday over its conduct of the war against Hamas, placed full ultimate responsibility on Hamas for the deaths of children and other innocent people, and defended Prime Minister Benjamin Netanyahu’s insistence on maintaining security control in the West Bank in the next few years. In an interview published Sunday by Jeffrey Goldberg for The Atlantic, she also urged an “overarching” US strategy to confront Islamic terrorism, equating this struggle to the one the US waged against communism. She spoke of the “failure” that arose from the Obama administration’s decision not to aid the initial uprising against Syria’s President Bashar Assad, which created a vacuum now filled by jihadists. — Read our full story here. Why aren’t Gazans turning on Hamas? 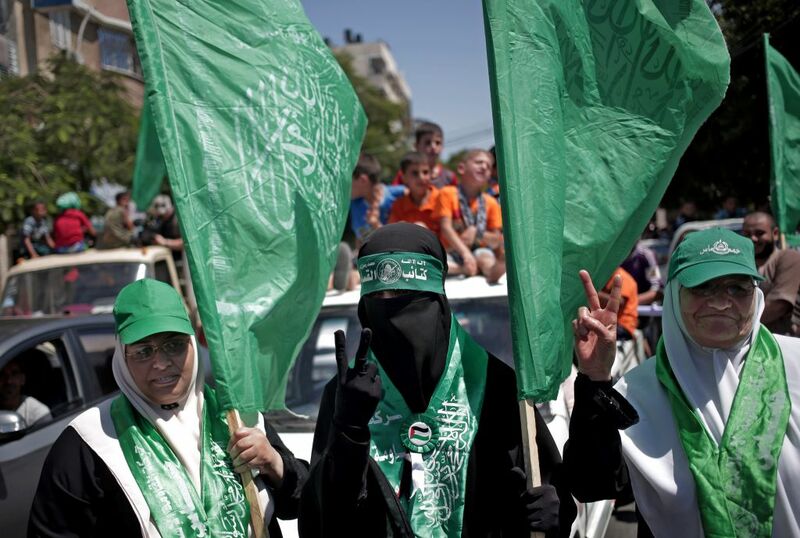 ToI’s Elhanan Miller has just filed a report on why Gazans aren’t revolting against Hamas. He opens: Israel may wish that Gaza’s dire situation would push residents of the Strip to rise up against their Hamas rulers, but more than a month into Operation Protective Edge, there are very few indications of that happening. 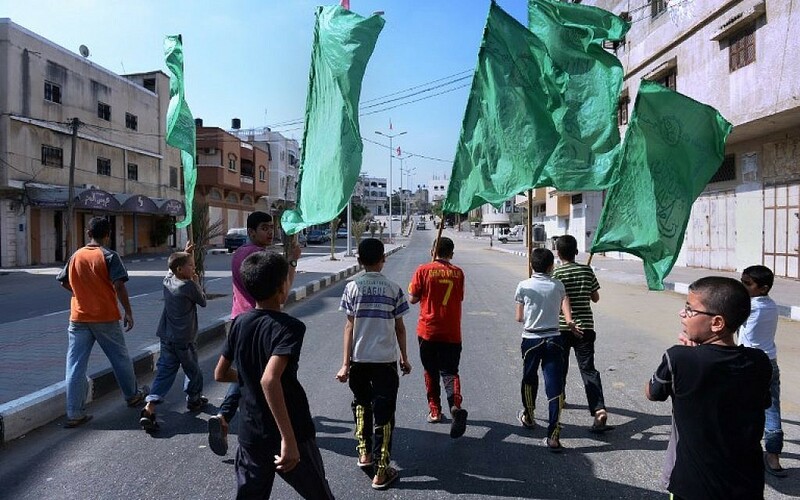 There have been sporadic reports of civil unrest directed at Hamas over the past week: the physical assault of Hamas spokesman Sami Abu Zuhri outside Shifa hospital; a small demonstration crushed by the Islamic movement, some members summarily executed. But even these relatively minor incidents could not be confirmed by independent sources. — Fear, fatalism or support? : Read the full story here. A Hamas operative active in the terror group’s tunnel efforts was killed in a targeted assassination before the new 72-hour ceasefire went into effect at midnight. Faraj Abu Rabia was killed in an airstrike in the northern Gaza Strip yesterday (Sunday), Ynet reports. UN Secretary-General Ban Ki-moon welcomes the news of a fresh 72-hour ceasefire between Israel and Hamas, and urges the two sides to work towards a longer-term truce. The latest ceasefire began at 12:01 am on Monday (2101 GMT Sunday), after days of frantic mediation. Ban “expresses his strong hope that this will give the two sides, under Egyptian auspices, another chance to agree on a durable ceasefire for the benefit of all civilian populations and as a starting point to address the underlying grievances on both sides,” a statement from his spokesman says. “The United Nations stands ready to assist in the implementation of an agreement that would consolidate peace and allow for much needed reconstruction and development of Gaza,” the statement adds. Five Israelis were hurt in south Hebron Hills in the West Bank after Palestinians began lobbing rocks at their passing vehicle earlier today. They were taken in light condition to Jerusalem for treatment. The Israeli delegation to ceasefire talks with Hamas mediated by Egypt has landed in Cairo, an Egyptian report says. According to al-Youm a-Sabaa, the negotiators arrived in the Egyptian capital before the new 72-ceasefire went into effect at midnight tonight. Israel had pulled its negotiators on Friday after the previous 72-hour truce ended that morning and Hamas resumed rocket fire after refusing to extend the lull. Israel has insisted it will not negotiate while rockets are being lobbed at its cities. 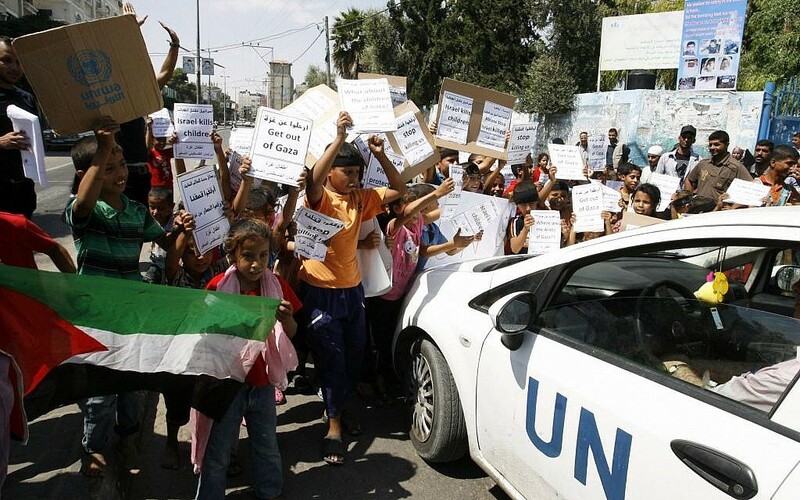 A senior UN aid official warns that a new conflict in Gaza is likely unless Israel lifts the blockade on the coastal Palestinian enclave. James Rawley, the top UN humanitarian official for the Palestinian territories, told AFP in an interview that the international community has failed during more than a month of fighting between Israel and Hamas, which has killed more than 1,930 Palestinians, according to Hamas-run Gaza health ministry officials. Israel says 750-1,000 of the dead are Hamas and other gunmen. It also blames Hamas for all civilian fatalities, since Hamas set up its rocket-launchers, tunnel openings and other elements of its war machine in Gaza neighborhoods and uses Gazans as “human shields.” Israel has lost 64 soldiers and three civilians in the fighting. 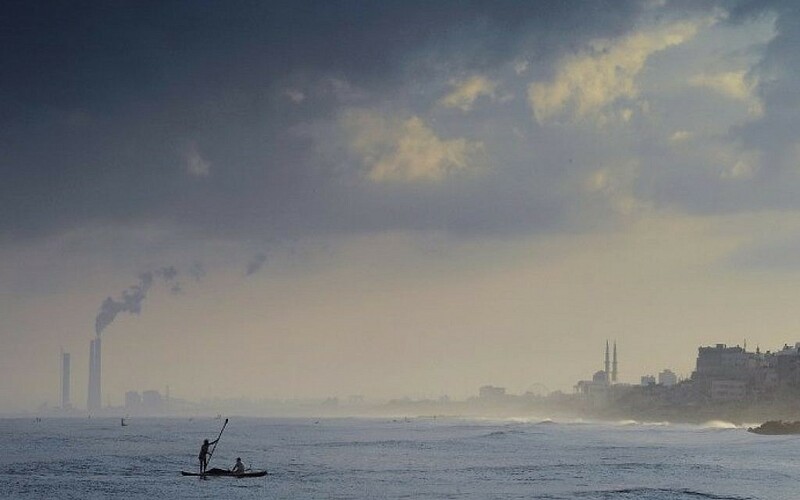 “The blockade must be lifted not only to get material into Gaza in order to rebuild it but to allow Gaza to do what it was doing very well just 10 years ago, to trade with the outside world,” Rawley told AFP. Israel and the Palestinians committed to observe a fresh 72-hour truce from 00:01 am Monday, accepting an Egyptian initiative to broker indirect talks on fleshing out a longer-term truce. The Palestinians’ primary demand is for Israel to lift a land and sea blockade, imposed in 2006 after Hamas captured IDF soldier Gilad Shalit. Hamas also wants fishing zones extended, and to have a port and an airport. Rawley said Israel’s legitimate security concerns must be addressed but warned without ending the blockade that another round of fighting was “likely”. “Not only will we see very little in the way of reconstruction, but I am afraid that the conditions are in place for us to have another round of violence like we’re seeing now,” he tells AFP in Gaza City. “It (another conflict) would be likely… it doesn’t make me feel good to say that,” he says. ALBANY, New York — New York Gov. 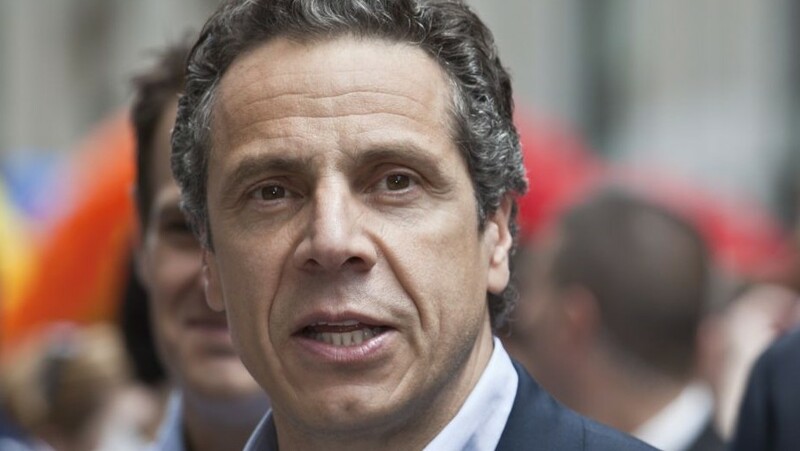 Andrew Cuomo and top state legislators are headed to Israel this week for a two-day visit as a “demonstration of solidarity” with that country in the conflict in Gaza, the Democratic governor announced Sunday. Cuomo, Assembly Speaker Sheldon Silver and Senate co-leaders Dean Skelos and Jeff Klein will travel to Israel on Tuesday. Cuomo said the delegation would meet with Israeli leaders and visit residents affected by the fighting. “Friends stand together in times of crisis, and I am proud to lead this bipartisan delegation to Israael to reaffirm our friendship and support,” Cuomo says in a statement emailed to reporters. Others accompanying the delegation include Cuomo’s brother-in-law, designer Kenneth Cole, and publisher Mort Zuckerman. Cuomo’s office said this will be his fourth trip to Israel. 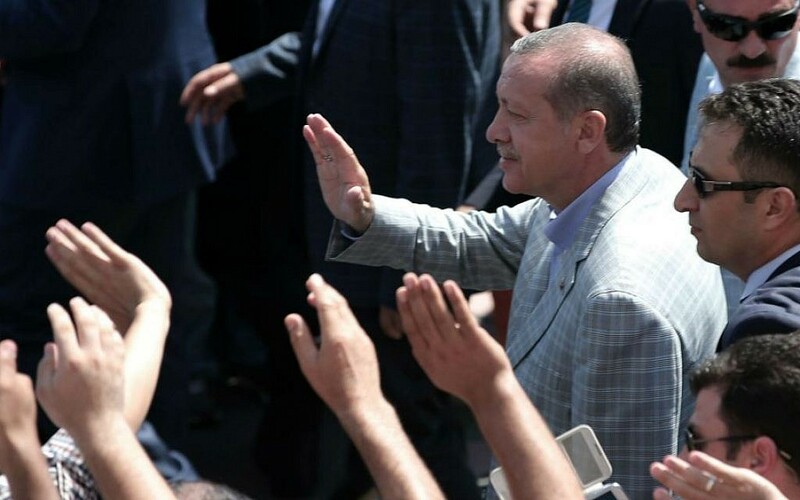 ANKARA, Turkey — Turkish President-elect and incumbent Prime Minister Recep Tayyip Erdogan says his country has started to evacuate wounded people from Gaza to Turkey for treatment. He tweeted a photo of the wounded this morning. 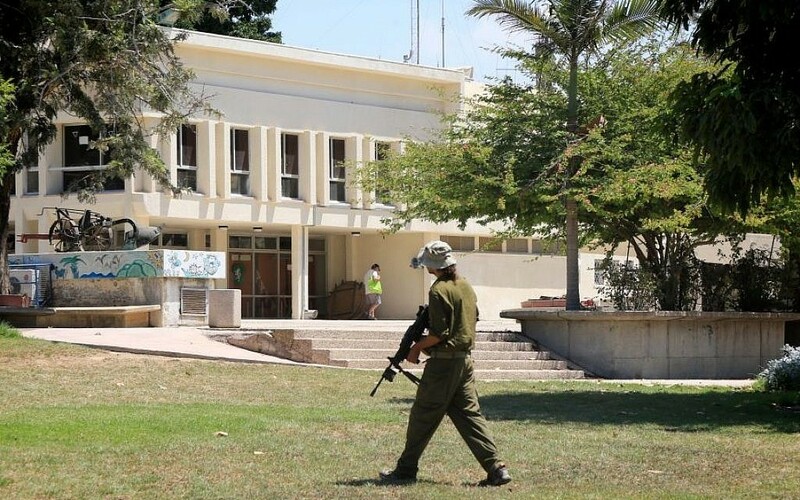 Some 88 IDF soldiers who were wounded during the course of Operation Protective Edge remain hospitalized in medical centers around the country, Israel Radio reports. Eight of the soldiers are in serious condition, one in moderate-to-serious condition, and the rest are moderately and lightly injured. An IDF soldier who was shot in the abdomen in Jerusalem last week is still hospitalized as well. His condition has been declared moderate-to-serious. A wanted Palestinian operative opens fire on IDF troops who have come to arrest him at his Qabalan home near Nablus, Israel Radio’s Gal Berger reports, citing Palestinian media. The IDF has begun bulldozing sections of the house in an effort to pressure the suspect to surrender, he reports. According to Ynet, the suspect is a Fatah operative. The incident is ongoing. Details to come. Hamas warns on Twitter that should Israel continue its “aggression,” it is prepared to respond accordingly. The 72-hour ceasefire has so far been honored by both Hamas and Israel, with the total cessation of rocket fire and airstrikes since the temporary truce went into effect midnight. A Palestinian resisting arrest in the village of Qabalan, near Nablus, is killed in a shootout with IDF forces, Ynet reports, citing Palestinian sources. The operative is named Zakaria Al-Aqra, it reports. 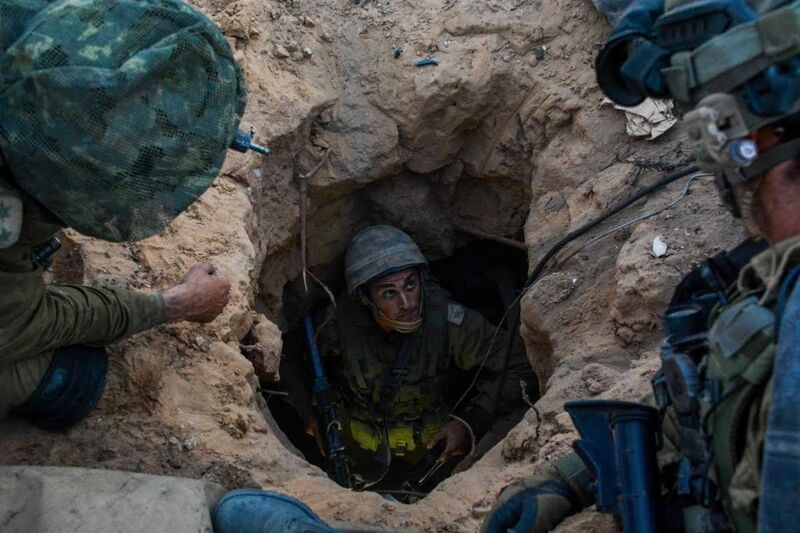 Hamas has killed dozens of diggers responsible for its extensive tunnel system in past weeks, fearing the workers would reveal the site locations to Israel, a report on the Mako website’s army blog says. The tunnelers, many of whom constructed the tunnels over the course of months, would dig for 8-12 hours a day, and received a monthly wage of &dollar;150-&dollar;300. Sources in Gaza say Hamas took a series of precautions to prevent information from reaching Israel. The terror organization would blindfold the excavators en route to the sites and back, to prevent them from recognizing the locations. The tunnels were strictly supervised by Hamas members, and civilians were kept far from the sites. M., a former tunnel digger and Israeli collaborator, tells the website that Hamas would strip search the workers to ensure they had no recording devices or cameras hidden on them. “The people we met had their faces covered, no one knew them by their real names, it was all codes and first names. They didn’t want to take the risk that some of the diggers were collaborating with Israel,” he says. A 2012 Journal of Palestine Studies article claims 160 Palestinian children were killed while working on Hamas’s tunnel system. Science and Technology Minister Yaakov Peri tells the Washington Post the Cairo talks should be expanded, once the matter of Gaza’s rehabilitation and ceasefire is resolved, into Israeli-Palestinian peace talks based on the Arab Peace Initiative. He calls for Jordan, Saudi Arabia, and a number of Persian Gulf States to send representatives to Cairo for these negotiations, which would also include resolving larger regional concerns and battling radical Islam in the Middle East. Israel has repeatedly rejected the Arab League-backed framework, which includes a full Israeli evacuation of the West Bank, East Jerusalem, and the Palestinian right of return, but Peri is fairly confident the details can be worked out — and he adds that Netanyahu is in favor of the idea. Zakaria Al-Aqra, 24, who was killed by the IDF after resisting arrest earlier today, was involved in multiple shooting incidents at Israeli soldiers in the West Bank, the army says. It says it found arms in the building after the siege ended. At least five other Palestinians are injured in the gunfire exchange in the village of Qabalan, south of Nablus, and two others are arrested by Israeli Border Police. 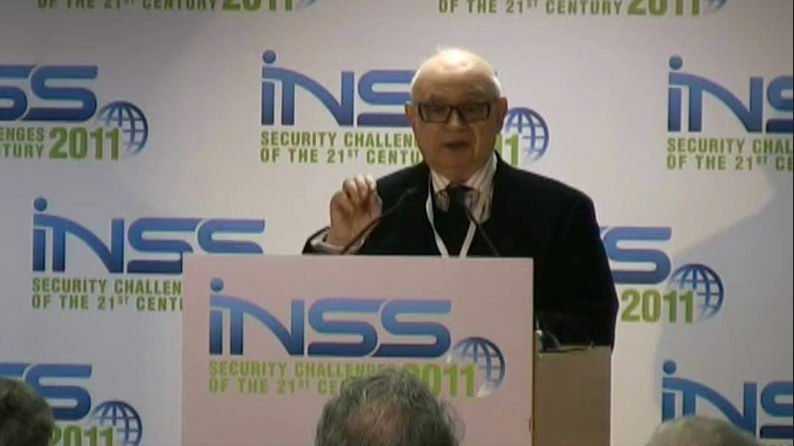 Internal Security Minister Yitzhak Aharonovitch says he does not anticipate the Cairo negotiations will produce a long-term deal. “There is a slim chance an agreement [will be reached], but to my understanding after 72 hours the fire will resume and we will have to turn to the next stage, which is the decisive stage,” he tells Ynet, in an apparent reference to toppling Hamas by force. Aharonovitch adds that it would take “a magician” to secure a lasting arrangement. 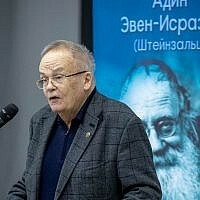 A prominent Israeli professor urges the government to immediately establish an investigative committee with the purpose of drawing lessons from Operation Protective Edge and the fighting in the Gaza Strip. Yehezkel Dror, a member of the 2008 Winograd Commission that harshly criticized government unpreparedness and the IDF’s tactical and logistical failures against Hezbollah during the 2006 Second Lebanon War, says in a series of interviews on Monday that the drawn out conflict in Gaza, and Hamas’s unwillingness to halt rocket fire, suggest that the army must come up with new and improved combat strategies. Israeli journalist Ronen Bergman writes in a New York Times op-ed that Israel brokered a truce with Hamas during Operation Pillar of Defense in 2012 because it ran out of Iron Dome missiles to protect its citizens. “Israel agreed to an early cease-fire, for a reason that has remained a closely-guarded secret: The Iron Dome anti-missile defense system, generously financed by the United States, had run out of ammunition. Israel learned the lesson and made sure that sufficient quantities of Iron Dome missiles were available this time around,” he writes. 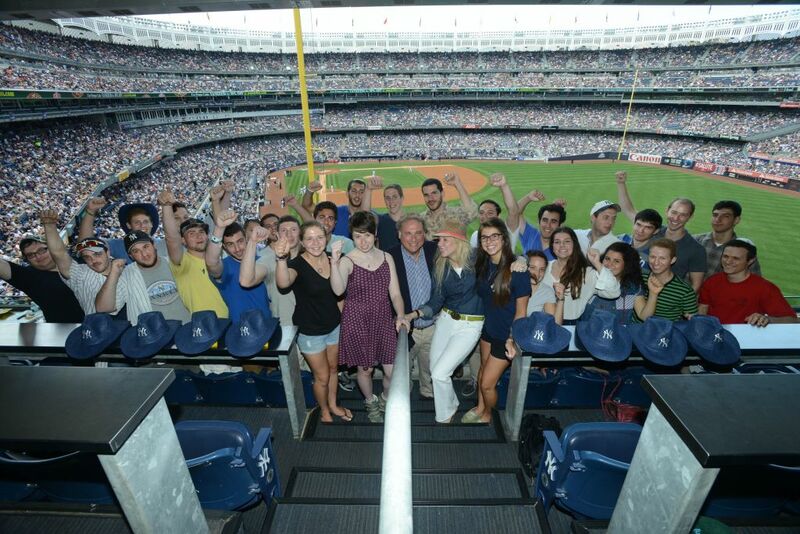 President of the NY Yankees Randy Levine and his wife, Mindy, invite around 40 young men and women who will move to Israel and serve in the IDF in the near future to a baseball game. Col. (res) Atai Shelach, former commander of the elite Yahalom unit, tells the Walla news website he’s certain there are cross-border tunnels in northern Israel. “Those who think it [the tunnel threat] doesn’t exist in the north, doesn’t live in the Middle East. Hezbollah, too, has been and continues to be engaged in this,” he says. Shelach adds, ominously, that the tunnel threat has only just begun, but emphasizes that he is confident tunnel detection technology will soon be developed. With regard to Hamas’s tunnels in the Gaza Strip, he says he was “not surprised” by the number of tunnels, but he was taken aback by the level of operational sophistication and the terror organization’s use of motorcycles. During the ground offensive, IDF troops uncover motorcycles stashed in tunnels which were intended for use to carry out attacks and kidnappings against Israeli civilians. 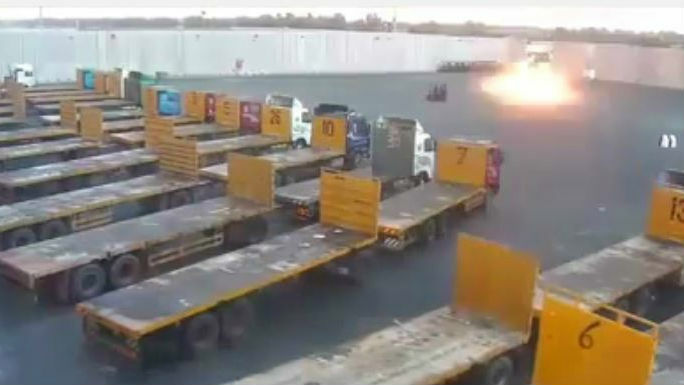 The Defense Ministry announces the Kerem Shalom crossing has reopened after it closed Sunday due to rocket fire. Hundreds of trucks carrying humanitarian aid are expected to enter the Gaza Strip today, the ministry says in a statement. In Cairo, negotiators say talks resumed at 11 a.m. The four-member Israeli delegation arrived at Cairo International Airport earlier this morning. Bassam Salhi, a Palestinian delegation member, says he is optimistic. “We hope to reach a deal within the 72 hours, based on ending the blockade and opening the crossings,” Salhi says. A Twitter user posts a photo of Zakaria Al-Aqra, 24, who was killed in a gunfight with the IDF early this morning. Al-Aqra resisted arrest for what the army says is his involvement in various shootings at Israeli soldiers in the West Bank, and is said to have opened fire at troops who arrived at his home to take him into custody. 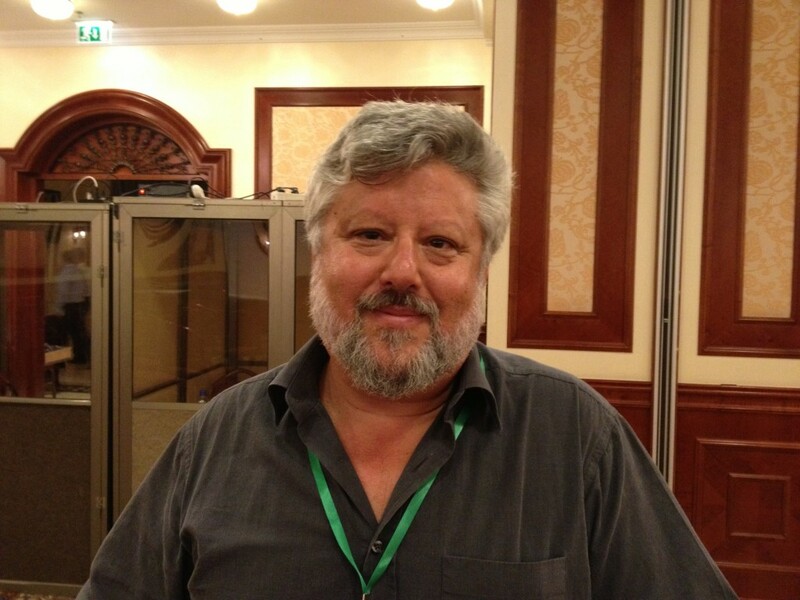 Haaretz’s diplomatic correspondent Barak Ravid says the Israeli delegation in Cairo is expected back in Jerusalem tonight to brief Prime Minister Benjamin Netanyahu and Defense Minister Moshe Ya’alon on developments. King Abdullah of Saudi Arabia discusses developments in Syria, Iraq, Gaza and Libya with Egyptian President Abdel-Fattah el-Sissi, during Sissi’s first visit to his regime’s powerful ally since winning May elections. Sissi flew to the Red Sea city of Jeddah late on Sunday and held talks with King Abdullah before carrying out the lesser umra pilgrimage in the holy Muslim city of Mecca, the official SPA news agency reports. “This meeting between the two countries’ leaderships is important in light of the circumstances facing Arab and Muslim nations,” SPA news agency quotes Saudi Foreign Minister Prince Saud al-Faisal as saying on the sidelines of the late Sunday mini-summit. SPA reported that King Abdullah discusses “ongoing efforts to end the Israeli aggression on Gaza” Strip with Sissi, whose country is hosting talks aimed at a durable end to a month-long conflict between Hamas and Israel. Following the capture and killing of Lt. Hadar Goldin and the IDF’s forceful military response, the Association for Civil Rights in Israel turns to Attorney General Yehuda Weinstein to ban the controversial “Hannibal procedure” on legal grounds, and order a probe into the incident, during which some 130 to 150 Palestinians were killed. “We turn to you to ask that you advise the government and the IDF that in all actions to thwart the abduction of a soldier, one must avoid endangering the life of the abducted, and that opening massive fire to prevent the escape of the kidnappers in a civilian area is strictly prohibited. “In addition, we ask that you oversee the establishment of a comprehensive investigation on the use of the Hannibal procedure during Operation Protective Edge, which caused ruin in Rafah and led to the deaths and injuries of hundreds of civilians,” ACRI’s legal representation wrote in a letter to Weinstein. The much contested Hannibal procedure allows Israeli troops to do whatever it takes to foil a kidnapping — even at the risk of the life of the abducted soldier, and regardless of whether the incident takes place in a civilian area. The attorneys argue that the procedure constitutes a violation of human rights for both the captured soldier and the civilians caught in the crossfire. Army Radio reports that the five-person Israeli team in Cairo comprises senior defense official Amos Gilad, Shin Bet chief Yoram Cohen, Prime Minister Benjamin Netanyahu’s associate Yitzhak Molcho, Maj.-Gen. Nimrod Sheffer, the head of the IDF’s Planning Directorate, and the Coordinator of Government Activities in the Territories Yoav Mordechai. Molcho, Sheffer, and Gilad all met with Egyptian president Abdel-Fattah el-Sissi in 2012, prior to his election and after the toppling of Mohammed Morsi, to discuss security cooperation between the Israeli and Egyptian armed forces. 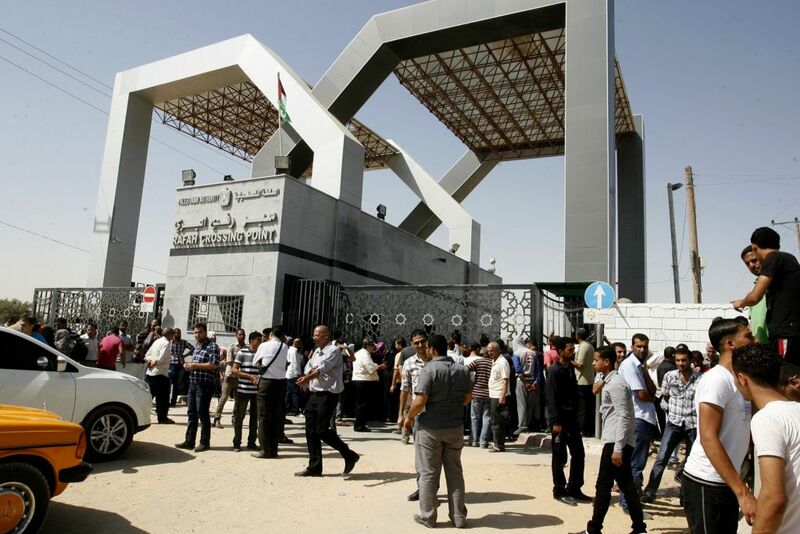 In what is described as “unusual” ease of access by the Palestinian Ma’an News Agency, the Rafah crossing with Egypt has been open for aid, Gazans seeking medical treatment, and foreign passport holders. More than 360 violent assaults against Jews living in East Jerusalem, including the capital’s Old City, are recorded in July, nearly double the number of similar attacks that took place during the same period in 2013, according to figures published today. 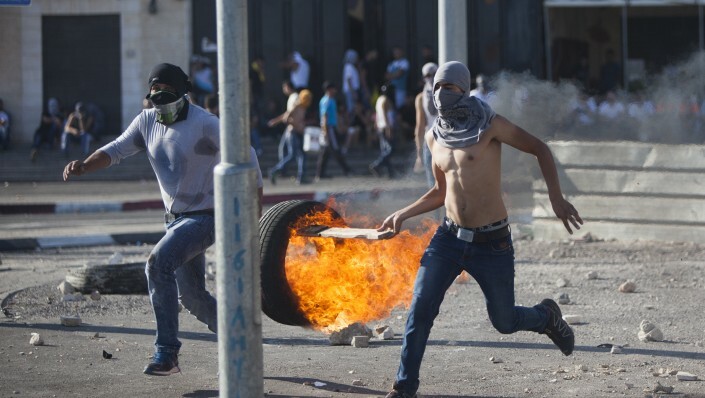 Most incidents involve youths hurling stones and Molotov cocktails at Jewish civilians living in predominantly Palestinian neighborhoods, or rioters setting off firecrackers near Jewish institutions. In some cases, however, masked gunmen open fire at Jews residing in the eastern half of the city, the Haaretz daily reports. Last Monday, an IDF soldier was shot at close range by a gunman on a motorbike near the neighborhood of Wadi al-Joz. A questionnaire distributed at an air force base by the educational corps in the wake of the Gaza campaign asks troops to take stock of the operation, with one highly questionable entry. “Something funny that happened to me during the campaign,” the fill-in-the-blank entry requests. The other items ask the soldiers to share experiences, feelings, something they’ve learned, and what the operation means to them. The educational surveys are occasionally distributed to soldiers to allow them articulate their emotions and thoughts in response to the often difficult experiences they encounter during their service. An unnamed soldier who was asked to fill in the survey described the questionnaire as an “embarrassment” in an interview with Channel 2. “It’s a waste of the paper it’s printed on,” he says. The IDF spokesman’s office says it is looking into the incident. The first week of the upcoming school year will be dedicated to combating racism and encouraging increased tolerance, Education Minister Shai Piron announces at a Knesset session. The educational campaign comes amid waves of online incitement following the June 12 abduction and killing of the three Israeli teenagers, and culminating in the revenge murder of 16-year-old Mohammed Abu Khdeir in Jerusalem. Two teenagers from the West Bank settlement of Nahliel are held on suspicion of torching a car and spraying anti-Palestinian graffiti last month in the village of Beitillu. The two are being questioned. Foreign Minister Avigdor Liberman says Hamas cannot leave the Cairo negotiations having gained something from its terror campaign. In a visit to the southern city of Sderot, Finance Minister Yair Lapid concedes that perhaps the government’s reassurances that quiet had been restored in the south were slightly premature. Lapid adds that the treasury will do its utmost to compensate the southern residents. A funeral was held in Miami for an Orthodox rabbi from Brooklyn, who was shot and killed on his way to synagogue services in North Miami Beach. 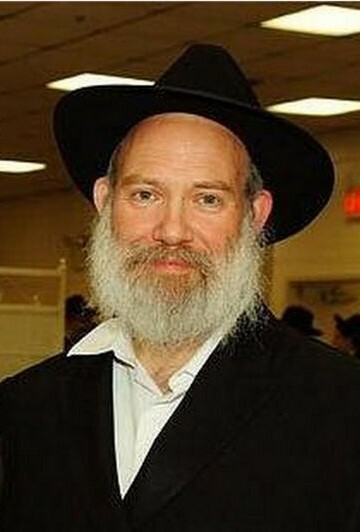 Following the funeral Sunday at the Bais Menachem Chabad synagogue, where Rabbi Joseph Raksin was headed when he was shot by two assailants on Saturday morning, the body was taken to the airport. A funeral and burial will take place this afternoon in Brooklyn. Hundreds of men, women and children attended Sunday’s funeral, the Miami Herald reported. 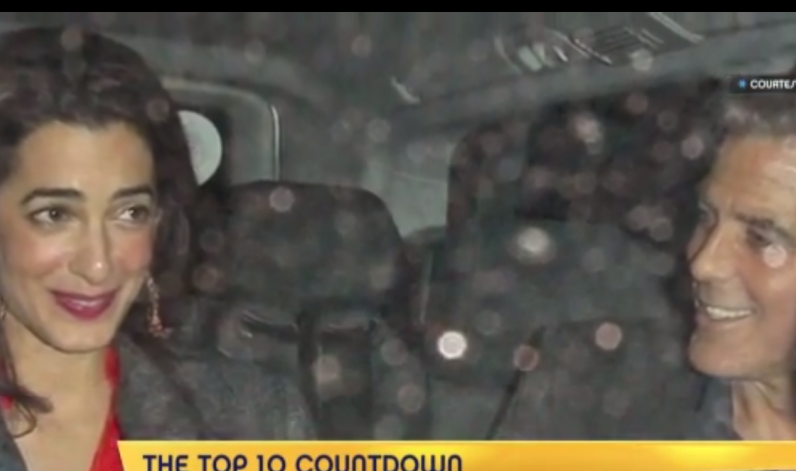 Raksin had arrived on Thursday in Miami for a week-long visit with his daughter and her family, the New York Post reported. Raksin, 60, is the father of six and a leader in the Crown Heights community, according to the Post. Miami-Dade police have said they do not believe the murder was a hate crime, but rather a robbery gone bad. Members of Miami’s Jewish community are offering a &dollar;50,000 reward for information leading to the arrest of Raksin’s assailants, according to the Miami Herald. The Holocaust was the deliberate, systematic mass murder of six million innocent Jews by Nazi Germany and its collaborators. By contrast, Israel is acting in legitimate self-defense against Hamas terrorism. Israel has no interest in harming innocent civilians, and indeed has done its utmost to avoid civilian casualties, whereas Hamas deliberately targets Israeli civilians. Any comparison between Israel and the Nazis outrageously distorts Israel’s actions and trivializes the enormity and nature of the Holocaust. Notable signatories include: Leon Wieseltier of The New Republic, Rabbi Mark Dratch, executive vice president of the Rabbinical Council of America, and Prof. Deborah Lipstadt. Today is a day ending in Y, meaning according to ancient Hamas and Israeli tradition, a ceasefire has either just started, was just agreed upon, was just broken or is being furiously negotiated. In this case, the first choice is correct, after the sides decided to give the classic three-day truce the ol’ college try once again late last night, with the timeout starting at midnight. Considering recent history, though, Israel’s major daily papers are forgiven for seeing this latest iteration of truce or dare through two thoroughly jaundiced eyes. Read the full Hebrew media review. Jerusalem councilwoman Rachel Azaria posts on her Facebook page about an incident of anti-Israel hatred she personally encountered on a Manhattan subway. “In Manhattan, on the subway with my husband and four children. My husband tells me something, and suddenly an older man turns to me and says in English: Are you Israeli? I ask him why he was asking, and he replies and asks: ‘You’re Israeli?’ ‘Yes,’ I answered. ‘Go away, go way, no one wants you here,’ [he says]. Gershon Baskin, the founder of a joint Israeli-Palestinian policy group and a former liaison in previous indirect negotiations between Israel and Hamas, said on the Knesset Channel that Hamas wants to stop fighting, but not without some achievement. Hamas’s demands have included the opening of a seaport and an airport, the opening of border crossings into Israel and Egypt, eased travel restrictions on Gazans, and the payment of the salaries of former Hamas government clerks. The Israeli delegation to ceasefire talks is now meeting with Egyptian intelligence officials in Cairo in an attempt to broker a long-term truce in the Gaza Strip. The fighting in Gaza caused a sharp decrease in visitors to Israel, the Central Bureau of Statistics reports. During the first week of the July, before the fighting started, there was a 26% increase in visitors compared to the same period in 2013. But once hostilities flared, the figures tumbled. From July 8-17, there was a 29% drop compared to last year, and from July 18-31 (after the ground incursion started) there was a 47% drop. A total of 218,000 visitors came to Israel in July 2014, out of which 194,000 were tourists. This is a 26% drop from July 2013. The Turkish Humanitarian Relief Foundation (IHH), which sent the Mavi Marmara ship toward Gaza in 2010, announces it will send another flotilla to the Gaza Strip “in the shadow of the latest Israeli aggression on Gaza,” Reuters reports. “The Freedom Flotilla Coalition affirmed that, as most governments are complicit, the responsibility falls on civil society to challenge the Israeli blockade on Gaza,” the group says in a statement. IHH will hold a press conference Tuesday. 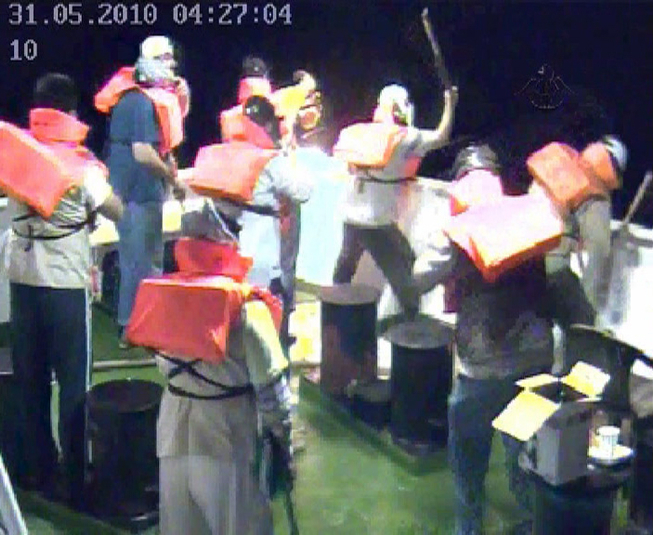 IHH activists in the 2010 flotilla attacked Israeli commandos who boarded their ships. The IDF forces opened fire, killing 10 Turks, and worsening already tense relations between the countries. 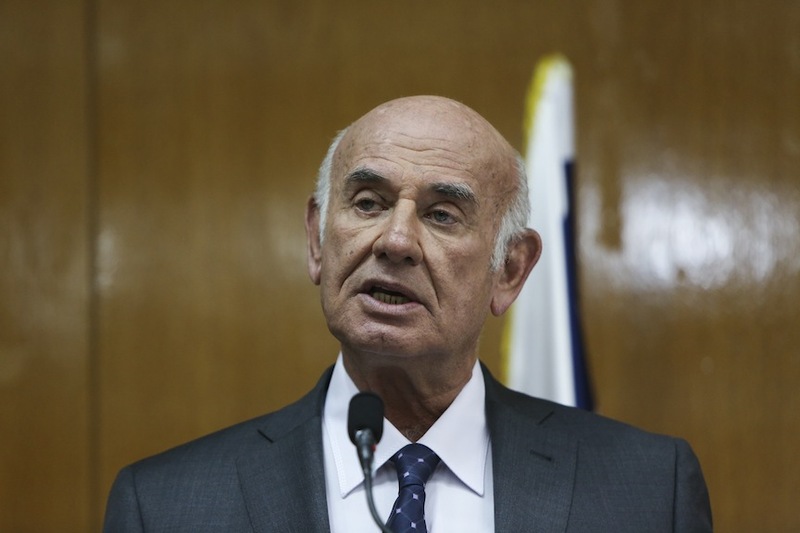 Public Security Minister Yitzhak Aharonovitch tells residents of the Gaza border region that “there is apparently a small chance of reaching an agreement,” Israel Radio reports. He adds that if there is no deal with Gaza terrorist groups, Israel will have to defeat Hamas. Ashkelon Mayor Itamar Shimoni says he will not let schools open if rockets continue to be fired from Gaza, Israel Radio reports. He emphasizes that he is not willing to endanger the lives of Ashkelon’s 27,000 students. Separate pro-Kurdish and pro-Palestinian rallies in Toronto’s Dundas Square led to conflict between the two groups on Saturday, according to attendees. While protesters on one side of the street shouted “Free Free Palestine! Free Free Gaza!” into megaphones, those across the way held signs reading “Save the Yezidis Kurds and Christians in Sinjar” and “Support Kurdish forces against ISIS.” But tensions soon developed, say some on the Kurdish side. Fatah also says the pro-Palestinian side accused the Kurds of working for Zionists and for America. Israel Police’s cyber unit arrests a 32-year-old Rehovot resident for inciting to violence on his Facebook page. At least 15 suspects have been arrested for online incitement recently, according to police. Police did not specify, but those arrested have often posted anti-Arab statements related the fighting in Gaza. 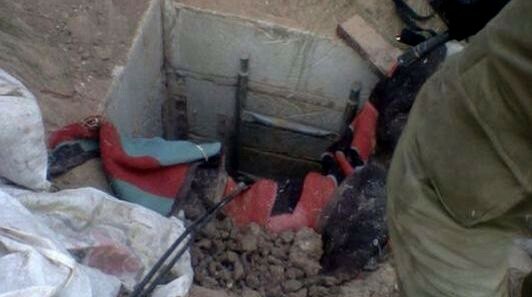 According to a senior IDF source, Israel has tested — in a laboratory — two systems to find tunnels, Israel Radio reports. They are now undergoing tests in the field. 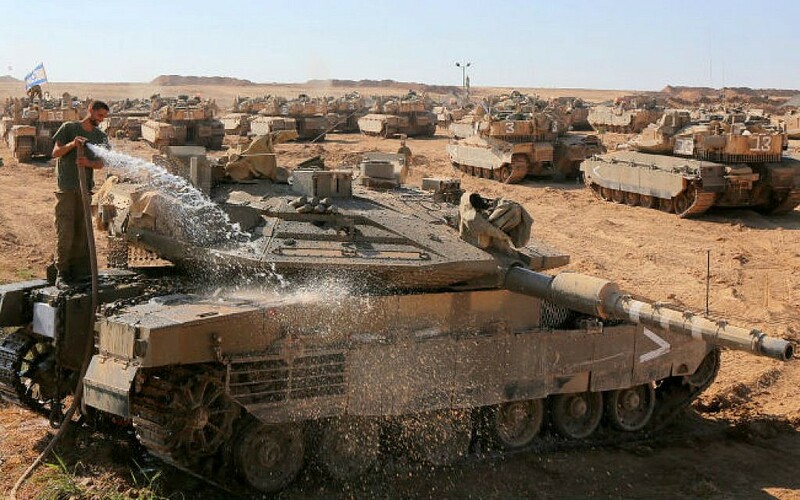 Depending on the results of the tests, the systems could be operational along the Gaza border within a year, at a cost of NIS 1 billion-NIS 1.5 billion (&dollar;288 million-&dollar;432 million). The officer also says that Iron Dome is being upgraded to deal with attacks by more-advanced rockets. 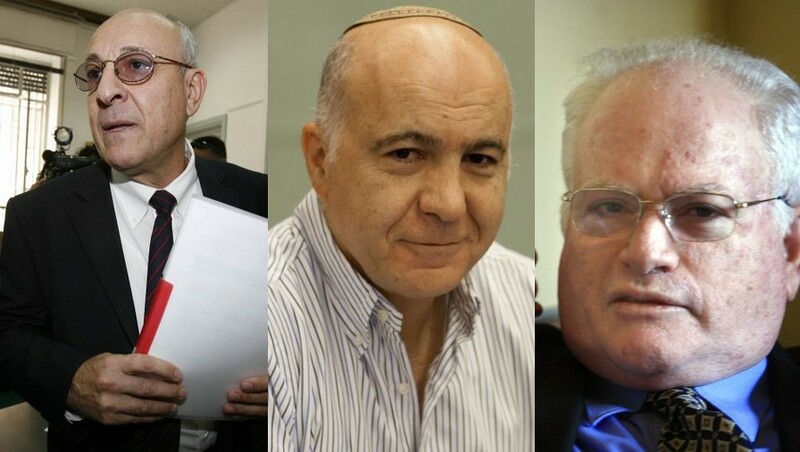 The Supreme Court rejects petitions attempting to halt the demolition of the Hebron-area homes of three Palestinians involved in the June kidnapping and murder of Israeli teens Gil-ad Shaar, Eyal Yifrach, and Naftali Fraenkel, Ynet reports. The court rules that evidence against the three is strong enough to warrant the move, and that the state has the authority to destroy the homes. The UN Human Rights Council announces that Amal Alamuddin, a Lebanese-born international human rights lawyer, who was recently in the headlines for her engagement to actor George Clooney, will be on the commission looking into allegations of Israel war crimes in the ongoing Gaza conflict. Joining Alamuddin will be Senegal’s Doudou Dienne, who was the UN’s special rapporteur on contemporary racism from 2002-2008; and Canada’s William Schabas, a genocide expert. Israel’s Foreign Affairs Ministry tells The Times of Israel that it has no comment at this time. BREAKING: UNHRC named 3 to its biased Gaza inquiry: Anti-Israel prof Bill Schabas, Clooney’s wife (really), & pro-Islamist Doudou Diene. In 2010, Schabas said in an interview that, although he supports the Goldstone Report, the crimes committed during Operation Cast Lead were not on the same scale as more serious violations elsewhere in the world. “I think that when we look at all the crimes committed in Gaza during the conflict at the end of 2008-2009, we find that they are probably not — on a Richter scale of atrocity — at the top,” claimed Schabas. 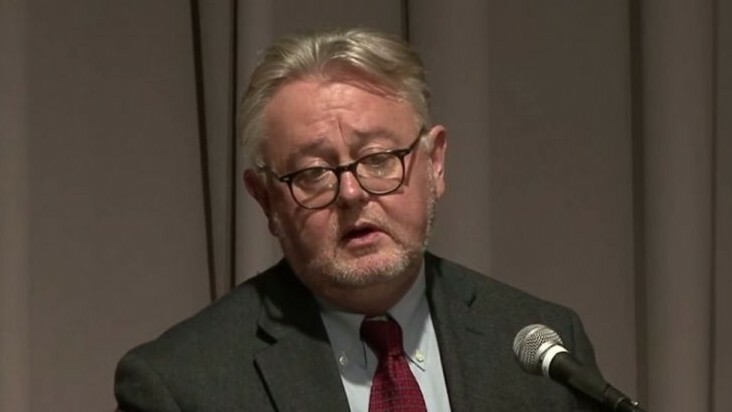 Schabas continued: “And so, we mix our dissatisfaction with the situation of the Palestinian people in Gaza and the West Bank, where we have this terrible wall that has been built; and the settlements, which continue being built even if Obama has told Netanyahu to stop. And certainly all these are a violation of international law and absolutely unacceptable. The UN Human Rights Council says in a statement that the war crimes panel will have the mandate to probe Israeli actions in the West Bank, Gaza and East Jerusalem, going back to June 13. That’s the day Israel launched a search and rescue operation in the West Bank for three teens who had been kidnapped, and — it was later discovered — murdered. The operation, nicknamed Operation Brother’s Keeper, also involved a crackdown on Hamas. However, the statement says the probe will be focused mostly on Gaza. William Schabas will head the three-person panel, which is due to present a written report in March 2015. As talks continue in Egypt, Channel 2 reports the sides are close to agreeing on a draft for a long-term ceasefire. The agreement includes a partial lifting of the Israeli closure on the Strip’s border crossings and the transfer of money into the Strip via the Palestinian Authority. The channel also announces that Cairo is seeking to have 1,000 Fatah-backed soldiers posted along the Gaza-Egypt border. The UNHRC statement on the creation of the war crimes panel, interestingly, does not only not single out Israel, but fails to mention the country even once. This likely means the commission’s mandate will also include looking at war crimes by Hamas and other groups in Gaza. Jerusalem has not yet announced that it will refuse to cooperate with the inquiry. The decision lies in the hands of the cabinet ministers and it seems unlikely that they will vote in favor of working with a panel everyone agrees is going to write an exceedingly unfair report. Even Justice Minister Tzipi Livni — the government’s most dovish member — is likely to oppose. Hamas spokesman Ismail Radwan says that this ceasefire will be the group’s last, Israel’s Ynet news reports. Radwan threatens that “all options remain open,” for Hamas and other groups, should the talks in Cairo fail to produce results. Despite the rockets fired from Gaza in the past month, the Briza music festival is still set to take place in the southern city of Ashkelon on August 24-30. 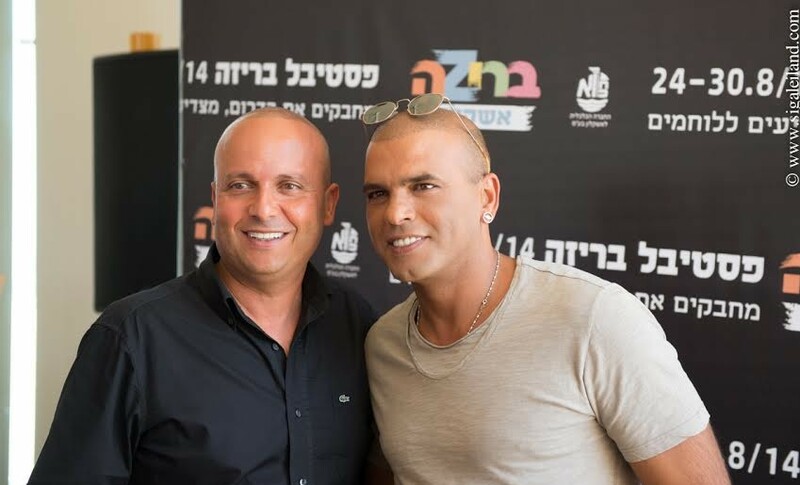 “I’m coming here to hug the people of the south, and to be hugged by them,” says singer Eyal Golan, who is due to perform at the festival. One of the organizers says that thousands of IDF soldiers who fought in Gaza are going to attend the event for free. 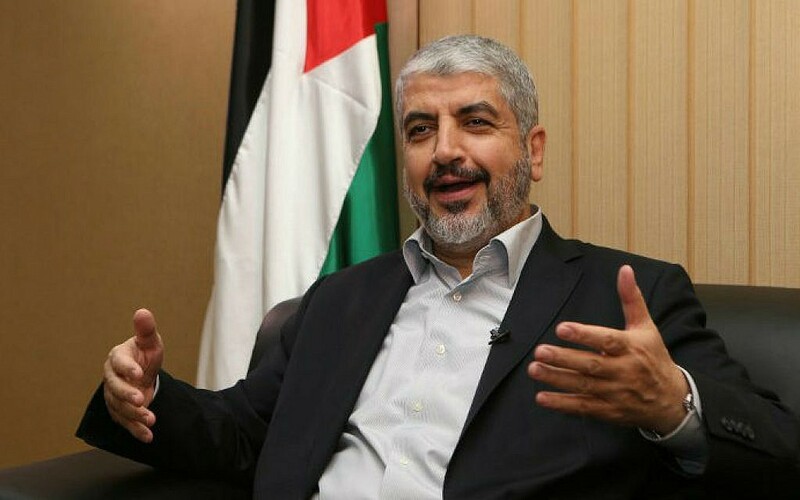 Hamas is no longer pressing for Israel to agree to the opening of a seaport and airport in the Gaza Strip as part of its ceasefire demands, Channel 2’s Ehud Ya’ari says. The ports remain a long-term Hamas goal. According to a statement from Finance Minister Yair Lapid’s office, he is leading a diplomatic effort to gather world powers and moderate Middle Eastern countries to demilitarize Gaza and ultimately transfer authority to the Palestinian Authority. 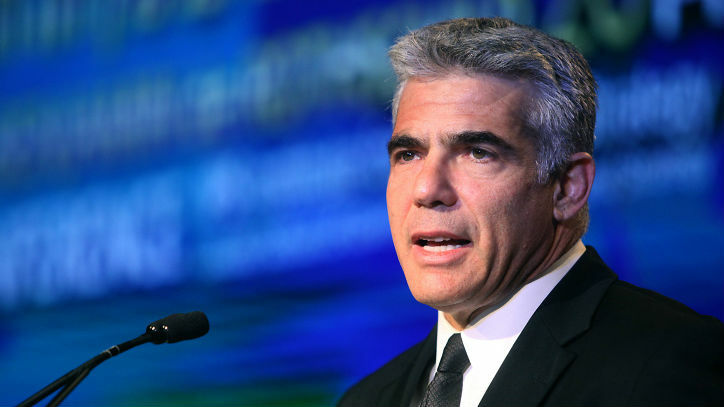 Lapid’s office says he is working to convene an international conference to rebuild Gaza and return it to the PA. The conference would be hosted by Egypt, and would include the United States, the European Union, Russia, Jordan, the Palestinian Authority, Israel and moderate Arab states, including Saudi Arabia. 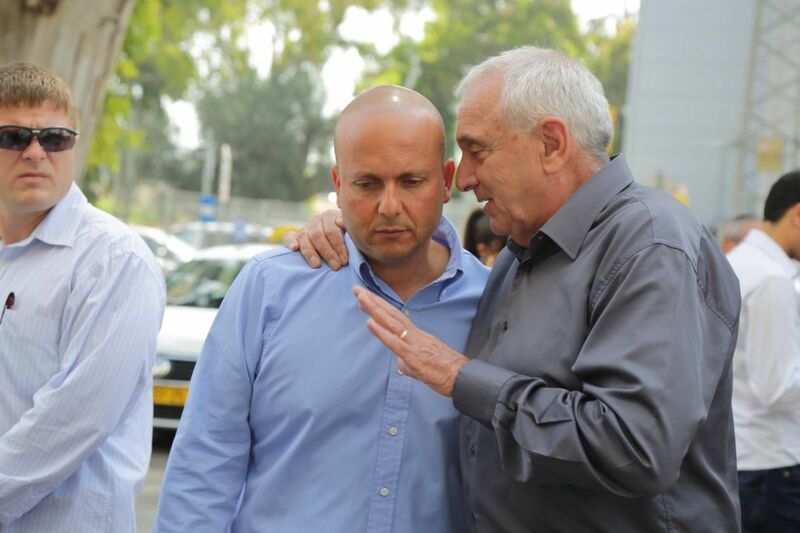 Abbas is leading the effort against Israel in international bodies, Bennett says during an interview on Channel 2. Bennett also says he put forward a plan to decisively defeat Hamas, but when his plan failed in cabinet deliberations, he supported pulling troops out of Gaza. 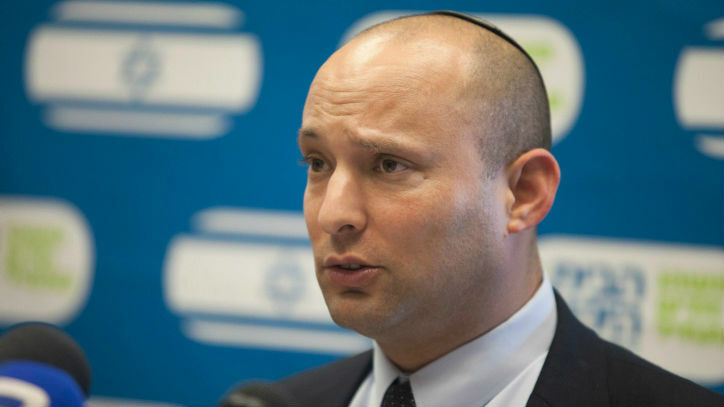 Israel needs to show strength and bolster its deterrence, Bennett says, so that Hezbollah, the Islamic State, and other regional enemies will understand the price of starting with Israel. Israel’s delegation at the ceasefire talks in Cairo is basically demanding a return to the understandings that were agreed upon at the end of Operation Pillar of Defense in November 2012, Israel’s Channel 2 reports. These are arrangements that would enable Hamas to claim that it has made gains, the report notes. The arrangements provide for an end to terrorism, and for eased access to Gaza. In practice, the report says, Israel would supervise any access to Gaza from its side, and Egypt would oversee any access from its side. And Israel and Egypt would work together to prevent Hamas from rearming. 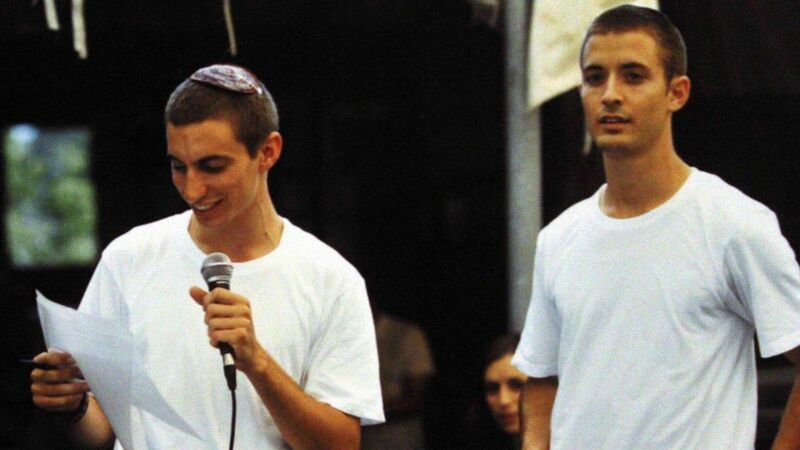 In return for information on Israeli soldiers Oron Shaul and Hadar Goldin, who are dead but whose bodies are in Gaza, Hamas is demanding that Israel give it a list of Palestinians agents who work for Israel in the West Bank, Channel 2 also announces. It adds that Shin Bet intelligence chief Yoram Cohen, one of the five-member Israeli team in Cairo, is hardly likely to do that. In further updates from the talks, Channel 2 says Egypt wants to have Mahmoud Abbas’s Palestinian Authority deploy 1,000 security troops at the Rafah Border Crossing, and that Abbas would have a hard time mustering that many men. 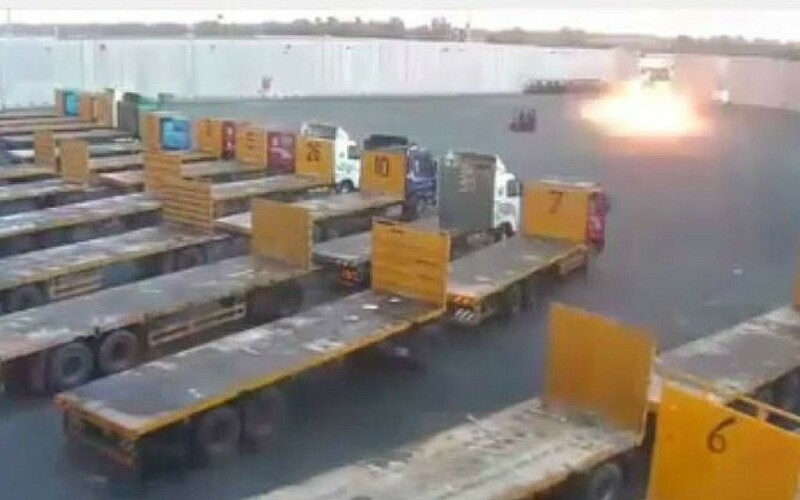 It says Israel is ready to double the number of trucks bringing humanitarian supplies into Gaza via the Kerem Shalom crossing — from 250 a day to 500. Israel is prepared to let building materials into the Strip, under careful supervision, but no “double use” materials, such as iron and various chemicals, which might be diverted to the Hamas terror infrastructure. The TV reports says there are deep divisions within the Palestinian delegation — between representatives of Abbas and Hamas, and also between Hamas delegates from Gaza and those from elsewhere. The Gaza delegates are reportedly more inclined to compromise on a deal. Now that the members of the UN Human Rights Council Gaza conflict inquiry have been named, it’s not much of a stretch to say that Israel is not going to cooperate with the investigation. “When the decision about the creation of the committee was made on July 23, the prime minister and Foreign Ministry announced that the Human Rights Council had long ago become the Terrorists’ Rights Council, a kangaroo court in which the results of its ‘investigations’ are predetermined,” says the Foreign Ministry. 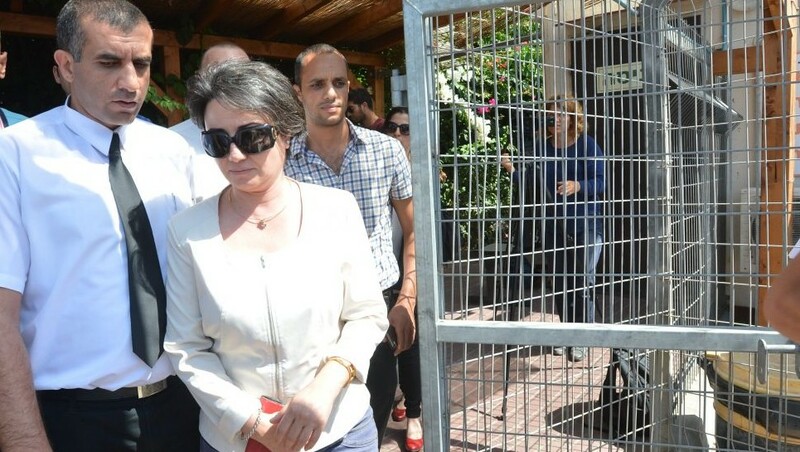 Balad MK Hanin Zoabi, under investigation for engaging in incitement and attacking a police officer, is questioned by police in Lod for five hours. 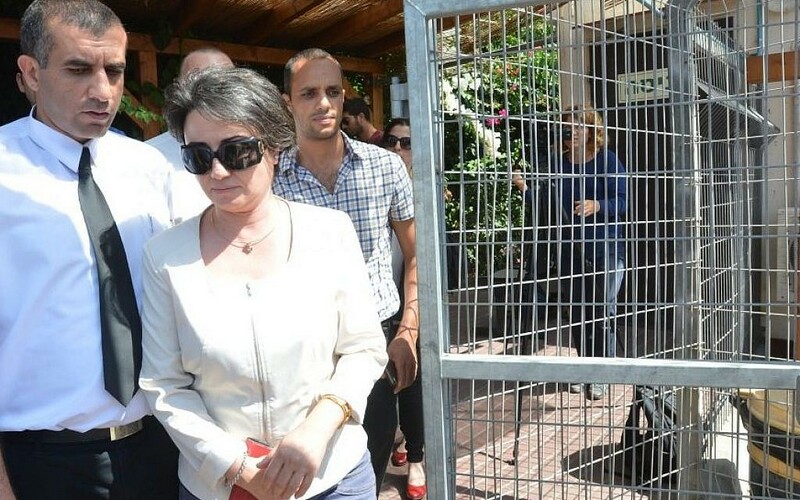 A group of people, including right-wing activist Itamar Ben-Gvir, shouted epithets in the direction of Zoabi’s car when she pulled up to the station, and called her a terrorist. The Knesset Ethics Committee recently suspended Zoabi from participating in debates on the Knesset floor for six months. William Schabas, appointed to head the UNHCR commission to look into war crimes during the Gaza conflict, has recently called for Netanyahu to be prosecuted for war crimes. Reacting to the appointment of the three-person UNHCR panel to investigate the fighting in Gaza, State Department spokeswoman Marie Harf says that there are incidents in Gaza that the US supports looking into, but there are ways to do so that are not one-sided. A Palestinian shepherd was killed when he threw rocks at an unexploded IDF ordnance in an old training ground near the West Bank town of Tubas, causing it to explode, Ynet reports. A companion of the shepherd was injured in the blast. An Egyptian security official tells an Egyptian newspaper that 95% of the issues on the table during ceasefire negotiations in Cairo have been solved, Haaretz reports. Israel still refuses to allow the building of a seaport and airport in Gaza. Israel also will not release the fourth tranche of security prisoners that the Palestinians wanted to see freed during negotiations between Israel and the PA earlier this year. Palestinian sources say that Israel had agreed in principle to free the Hamas prisoners originally released during the Gilad Shalit deal and re-arrested during Operation Brother’s Keeper in June. Swedish daily Aftonbladet has removed a cartoon deemed anti-Semitic and is vowing to tighten editorial oversight. Tobias Lindner, a spokesman for Aftonbladet, told the news site, “It is clear that this strip should not be published. Aftonbladet will now sharpen their procedures” with regards to the humor section of the website. According to Egyptian daily al-Shorouk, the Israeli and Palestinian delegations convened in Cairo to discuss a ceasefire have agreed on 95 percent of the issues, with Israeli refusing only to discuss the immediate establishment of a seaport and an airport, as well as the final tranche of pre-Oslo prisoners that Israel was supposed to free as part of negotiations with Abbas. Citing unnamed “knowledgeable sources,” the daily reports that Israel has agreed to expand the permitted fishing zone in Gaza’s waters from 3 to 6 miles (approximately 5-9.5 kms); to re-free Hamas prisoners released as part of the Gilad Shalit deal and recently rearrested; and to allow the transfer of salaries to Hamas civil servants. Israel has reportedly also agreed to reactivate all the crossings into the Gaza Strip, with the presence of EU observers at each crossing. A separate agreement will be reached in the future between Egypt and the PA regarding the reactivation of the Rafah crossing with Egypt. The daily’s sources also blast Hamas for trying to embarrass Egypt and portray it as indifferent to Palestinian suffering. 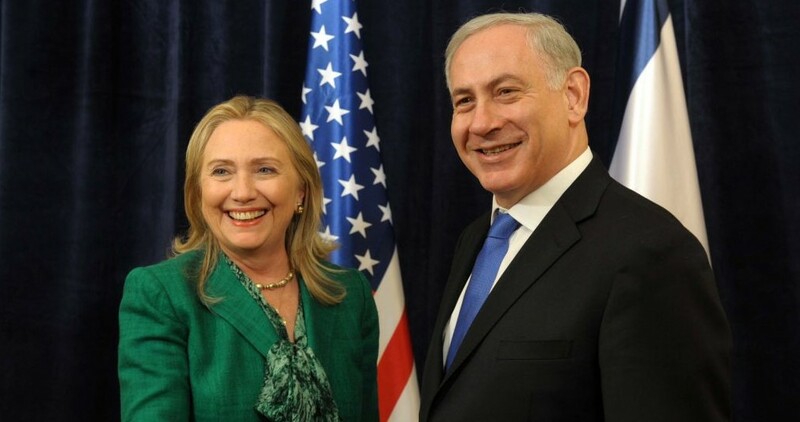 Appearing on MSNBC, Atlantic reporter Jeffrey Goldberg expounds on his recently published interview with Hillary Clinton, saying that her noticeably pro-Israel stances were probably mostly a result of politicking. Goldberg adds that her pro-Israel statements lacked nuance. An explosive device has exploded next to an Israeli military vehicle in the northern West Bank, causing damage but no injuries, Israel Radio reports. The explosion happened near the former settlement of Homesh, one of four settlements in the West Bank evacuated along with Gaza’s Israeli communities nine years ago this month. A number of Hollywood gossip websites report that Amal Alamuddin, the British human rights lawyer better known (for better or worse) as actor George Clooney’s fiancée, has turned down her appointment to serve on the UN Human Rights Council probe into the Gaza conflict. Alamuddin has released a statement saying that she is too busy with eight other cases and cannot take on the UN position. “I wish my colleagues who will serve on the commission courage and strength in their endeavours,” she writes. Those in the pro-Israel camp — Jerusalem already slammed the panel as a kangaroo commission — shouldn’t think the Lebanese-born lawyer has joined their side, though. “I am horrified by the situation in the occupied Gaza Strip, particularly the civilian causalities that have been caused, and strongly believe that there should be an independent investigation and accountability for crimes that have been committed,” she writes. Earlier in the night, UN Watch, a watchdog organization, released a statement suggesting that she may have been added to the panel for the publicity she would bring.